First time I've started a thread, so here goes. Darryl McHardy has signed a new two year contract. That's now him, Waters, McLeish, Reid, Cameron, Dodd and Sutherland. I'm glad that we've kept a hold of McHardy and Cameron, 2 players that'll draw a crowd on their own. Matty Cooper signed up for another season. As has Scott. Hope JW has a few decent irons in the fire! Pleased with Scott Smith signing, he looked good in last couple of games after his injury. Squad player at best for me if we want to be at top end but in fairness to the lad he hasn't had much of a run. Worth mentioning Daniel Moore signed for Rothes as player-assistant manager. Best of luck to him. That's an amazing signing for Rothes. Good luck to him. Gunny gone to Brora. Will score loads if he gets a game. Think they've still got Zander, Brindle, Sid Mackay and Kyle McLeod. 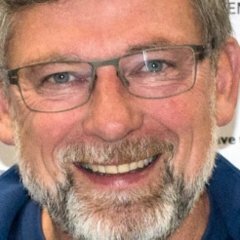 Are Elgin actually going to sign anyone? Hopefully a few announcements over the next week or two. I count that we've 10 players? At least the manager situation is confirmed. And we're always slow to do summer business. I remember a couple of years ago we went into the first cup game v Stirling Albion with about 13 fit and signed players. Still worrying though. Silence deafening. Heard north based players refusing to travel south for midweek training. Early days I know but it is all a bit worrying. If they are refusing to travel GTTF. Elgin look to be going about their business very quietly (Silently, perhaps), but it must be remembered that the core of the squad that has been re-signed really does contain some players of marvellous quality, none moreso than the majestic Brian Cameron. With the majority of League Two clubs biding their time there is plenty on the market yet, and if Elgin can go on to add more depth throughout the Summer then surely they could yet be contenders for promotion. I'd go as far as saying that with the right additions they could well be up there with the other great sides who've played in black and white at this level, such as the late, great, goddamn 2006/2007 Queen's Park team. Auld Git. It is a fair point you make. However you could argue they play for Elgin and asking them to travel to Perth midweek as it is more convenient for management/ south players is a big ask. The local players will have turned down good money from HL sides to play for their local SFL team and in some cases higher league teams, who they may well have been off to if travelling was not an issue. A dilemma indeed! Andrew Greig declines move to Elgin. You might not get too many games out of him. Being lined up as manager??? ?